Why just play games on your phone when you could be streaming, too. If you're not among the millions of people logging in to Twitch or YouTube Gaming to watch other people playing video games, you may not understand the trend. Back in my day, I hated having to wait my turn to play a video game with friends. These days, record numbers of people are watching Twitch streamers play all the most popular games — Fortnite and PUBG being among the most popular. While Twitch has been predominately used by PC or console gamers, you do have the option to stream from your Android phone — and with some bigger titles becoming available for mobile there's really no reason not to start streaming from your phone, especially if you're using a flagship released in the last few years. It's no secret that YouTube is home to a ridiculous amount of gaming content. So much so that YouTube has a version of its site and app dedicated to gaming channels and streamers — YouTube Gaming. If you're looking to effortlessly start streaming games from your phone, the YouTube Gaming app is your best bet. Everything you need to get started is built right into the app — all you need is games to play and a solid WiFi connection. The YouTube Gaming app is a great place to discover gaming content on the platform and also lets you record or stream your favorite Android games to your YouTube account. From the Youtube Gaming home screen, tap the Broadcast button. You'll get a few reminders that once you start streaming, you are live to the public and any on your screen including notifications, calls and passwords will be visible to your viewers. -Basically, if you haven't turned your phone to Do Not Disturb mode, do it now! Next, it's time to choose the game you want to stream. The app will give you a list of the recommended apps to stream, but you can scroll down to the bottom to expand the list to include all the apps on your phone. Give your stream a catchy title and a description so that your subscribers and potential viewers will know what you're playing. Click bait might be effective here . Send your stream link out on social media so all your friends and followers know what you're up to. From there, you've got one screen telling you to prepare to start recording your screen and your phone will load up your selected game along with the screen recording controls. Before you start streaming, you should be sure to set yourself up exactly how you want it. The app will use your front-facing camera to show your face while you play, and you can position that bubble wherever you want on your screen — ideally, a place that won't get in the way for you as you play, and won't cover any important information for your viewers. Once you start streaming, that floating bubble is where you'll find all your streamer controls. Simply tap the bubble to expand the streaming menu at the bottom of your screen, which will give you stats on viewership, toggle text chat, and other settings. Twitch is arguably home to the largest online streaming community, but unfortunately streaming to Twitch from an Android device is much more complicated. For starters, the Twitch app for mobile does not currently let you stream games from your phone to your Twitch account. That feature will surely be added sometime down the line. For the moment, the app does do allow you to stream "IRL" using your phone's camera and microphone, so if you want to use Twitch as a vlogging platform or simply want to watch your favorite twitch streamers, the Twitch app is a great option. But we're here to stream some Android gaming, which means you'll need to get yourself set up with streaming software. The most popular, open source streaming software is Open Broadcaster Software (OBS). Our pals over at Windows Central have a pretty excellent guide for setting up OBS so check in if you need someone to hold your hand through the process. What you'll need: a computer running OBS, your Android phone in USB Debugging mode, and a wired connection from your phone to your computer. OBS lets you record or stream gameplay from your PC, Mac, or Linux system to twitch. While PC or console games are the most popular games to stream on Twitch using OBS, you can connect your Android to your phone using USB debugging and a screen recording application to create a video source for OBS to draw from. To get your phone ready to share your screen to your computer, you'll need to unlock the Developer options on your phone. Tap the build number 10 times or until it says you've unlocked the developer options. Enter Developer Options and turn on USB Debugging. Next, you'll need to find a reliable app for running your phone screen on a window on your computer. I settled on Vysor, which is free to download and test. I ended up buying an annual subscription to the pro mode for $10 because it gives you way more control over your bitrate and resolution. You could opt to just use the free version but once you see how that looks in OBS you're going to want the Pro version. Once you've got OBS set up to your Twitch account, your phone is connected and streaming to your computer, and you've laid out your stream with a webcam or different graphics there's nothing left to do but start streaming! All too often the cable that comes with your phone is pretty short. 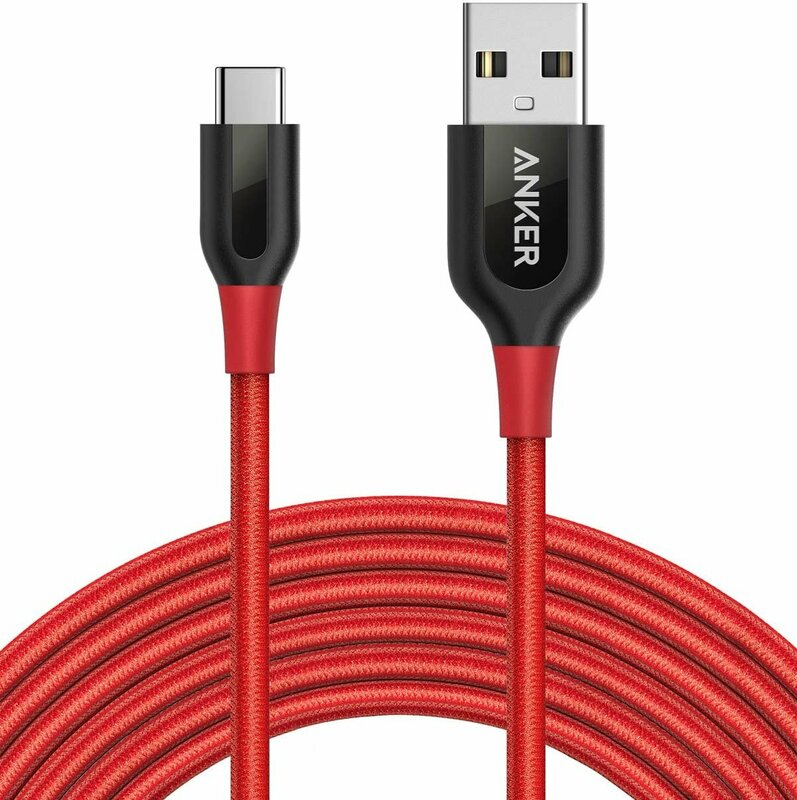 If you're planning to connect your phone to the back of your PC, having a 10-foot cable you can rely on like this one from Anker makes all the difference. So these are your two best options: YouTube Gaming makes it way more convenient to stream on the go and doesn't require much set up at all, whereas Twitch and OBS give you way more control over your stream in exchange for being a bit more cumbersome to initially set up. Have you streamed to Twitch or YouTube? Let us know if this guide helped you get started!